At the beginning of the sitting the Riigikogu observed a moment of silence to commemorate the victims of the June deportation. The Riigikogu passed with 80 votes in favour the Penal Code, Code of Criminal Procedure, Witness Protection Act and Code of Misdemeanour Procedure Act Amendment Act (599 SE), initiated by the Legal Affairs Committee. The Act stipulates the convergence prohibition. Pursuant to the Act, temporary convergence prohibition may be applied against the suspect or accused for the protection of a victim’s private life or other personality rights in offences against the person or against minors if the suspect or accused might continue to commit offences. The Act also enables the court to impose more severe punishment for example in the cases where the death of two or more people or serious physical harm to two or more people was caused due to negligence; punishments for the offences against sexual self-determination of young people and children were also made more severe. The Riigikogu passed with 83 votes in favour the Code of Administrative Court Procedure and Associated Acts Amendment Act (857 SE), initiated by the Government of the Republic, which updates the regulation of court procedure. The Act also harmonises the principles of legislative proceeding regulating different kinds of court procedure. 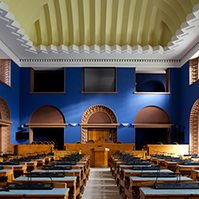 The Riigikogu passed with 62 votes in favour (18 against) the Electronic Communications Act, Information Society Services Act, Penal Code, Code of Criminal Procedure and Code of Misdemeanour Procedure Act Amendment Act (913 SE), initiated by the Estonian Centre Party Faction, Estonian Reform Party Faction and Estonian People’s Union Faction. The purpose of the Act is to limit the spread of offensive and hostile Internet comments. The Act extends the authority of the Security Police and civil courts for making individual inquiries. The Riigikogu passed with 69 votes in favour (1 against) the Unemployment Insurance Act, Republic of Estonia Employment Contracts Act and Foreign Service Act Amendment Act (884 SE), initiated by the Government of the Republic. The Act extends the circle of the people receiving unemployment insurance. According to the regulation in force, a person who applies for the unemployment insurance benefit must have worked in the previous 24 months and paid taxes at least for twelve months. The Act extends the established reference period from the former 24 months to 36 months. The same purpose is also supported by the amendment to the Act, according to which receiving an employment subsidy does not reset the former insurance period. The Riigikogu passed with 59 votes in favour (1 against) the Alcohol, Tobacco and Fuel Excise Duty Act Amendment Act (909 SE), initiated by the Government of the Republic, pursuant to which the increase in alcohol and cigarettes excise rates from 1 July 2006 will be postponed to 1 January 2008 and the increase in fiscally marked fuel excise from 1 January 2007 to 1 January 2008. The purpose of the Act is to slow down the inflation by postponing the increase in excise rates. 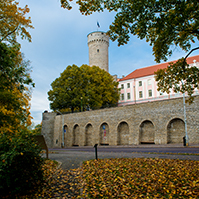 In order to accede to the euro zone of the European Union, Estonia must meet the inflation requirements stipulated in the Maastricht convergence criteria. The postponing of the increase in excises decreases the inflation pressure exerted by the state, helping to fulfil the price stability criterion. 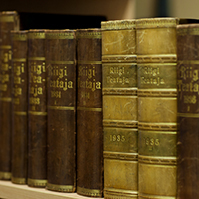 The Riigikogu passed with 51 votes in favour the Act on the Accession to the Agreement Relating to the Implementation of Provisions in the United Nations Convention on the Law of the Sea of 10 December 1982 Concerning the Conservation and Management of Fish Stocks in Border Areas and Highly Migratory Fish Stocks (893 SE), initiated by the Government of the Republic. Despite the fact that with its succession to the European Union Estonia passed its competence in the field of living marine resources protection and management to the European Community, who is a Party to the Agreement as of 19 December 2003, the Republic of Estonia must also accede to the Agreement. This proceeds from the fact that the Agreement is to a great extent an Agreement with shared responsibility, where the European Union as well as its Member States may be parties as well as observers. Upon the ratification of the Agreement, the European Community made a declaration, wherein it named the spheres where regulating competence has been handed over to the European Community by the Member States, and the spheres which belong to the shared competence of the Member States and the European Community. The accession to the Agreement is obligatory to Estonia, proceeding from Article 6 section 2 of the Accession Act added to the Agreement on the Accession to the European Union. The Riigikogu passed with 60 votes in favour the Act on the Ratification of the Copyright Treaty of the World Intellectual Property Organization (906 SE), initiated by the Government of the Republic. The purpose of the WCT is to provide authors with effective measures for protecting their works in the light of the rapid development of the information age. The purpose of the Act is to provide Estonian authors with international copyright .protection. Pursuant to the principle of intellectual property, including the principle of copyright territoriality, Estonian authors get the protection, under the Treaty, in other Parties of the WCT, and vice versa – the authors of the Parties to the WCT are protected on the same terms in Estonia. The Riigikogu passed with 61 votes in favour the Act on the Ratification of the Performance and Phonograms Treaty of the World Intellectual Property Organization (907 SE), initiated by the Government of the Republic. 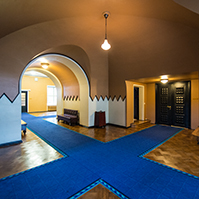 The purpose of the Act is to provide the Estonian performers and phonogram producers with international protection, which follows from the copyright. Pursuant to the principle of intellectual property, including the principle of territoriality following from the copyright and related rights, Estonian performers and phonogram producers get the protection, under the Treaty, in other Parties of the WPPT and vice versa – the performers and phonogram producers of the Parties to the WPPT are protected on the same terms in Estonia. The Riigikogu passed with 63 votes in favour (3 against, 2 abstentions) the Resolution of the Riigikogu On Amendments to the Resolution of the Riigikogu On the Formation of the Committee of Investigation for Ascertaining the Circumstances Related to the Export of Military Equipment from the Territory of the Republic of Estonia in 1994 (904 OE), submitted by the Committee of Investigation of the Riigikogu, formed for Ascertaining the Circumstances Related to the Export of Military Equipment from the Territory of the Republic of Estonia. The Resolution extends the authority of the Committee of Investigation until 15 November 2006. The extension of the authority of the Committee is due to the enlargement of the circle of persons questioned in the course of the Committee’s work and, in the opinion of the Committee, high-quality analyses of the collected mass of information will take more time than could have been foreseen in December 2005. 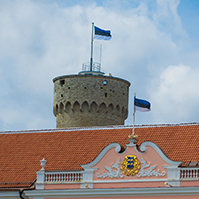 The Riigikogu passed with 69 votes in favour the Resolution of the Riigikogu On the Appointment of Members of the Supervisory Board of the Guarantee Fund (930 OE), submitted by the Finance Committee. According to the Resolution, Tatjana Muravjova and Eiki Nestor were reappointed the members of the Supervisory Board of the Guarantee Fund. 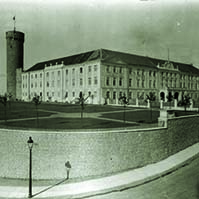 The Second Legislative Proceeding of the Foreign Relations Act which the President of the Republic Refused to Proclaim. On the motion of the Constitutional Committee, the second reading of the Bill on the Repeal of § 7(3) of the Republic of Estonia Principles of Ownership Act (830 SE), initiated by the Res Publica Faction, was suspended. The Bill on the Ratification of the Optional Protocol to the Convention against Torture and Other Cruel, Inhuman or Degrading Treatment or Punishment (916 SE), initiated by the Government of the Republic. On the motion of the Finance Committee the Bill on Amendments to § 91 of the State Budget Act (881 SE), initiated by the Res Publica Faction and Isamaaliit Faction, was rejected at the first reading. The result of voting: 51 votes in favour, 20 against. On the motion of the Legal Affairs Committee the Bill on Amendments to the Business Code and Land Register Act (882 SE), initiated by the Res Publica Faction and Isamaaliit Faction, was rejected at the first reading. The result of voting: 53 votes in favour, 22 against. On the motion of the Cultural Affairs Committee the Bill on Amendments to Education Allowances and Study Loans Act (888 SE), initiated by the Res Publica Faction and Isamaaliit Faction, was rejected at the first reading. The result of voting: 52 votes in favour, 25 against. At Question Time Prime Minister Andrus Ansip answered the questions about the Estonian Development Fund, Setumaa region, culture policy, internal security and state assets. Minister of Economic Affairs and Communications Edgar Savisaar answered the questions about the transport development plan and migration. The sitting ended at 7.45 p.m.